T. H. Huxley coined the word "agnostic". Agnosticism is, in weaker forms, an affirmation of ignorance regarding the existence of a God or gods, and in stronger forms, the assertion that the existence of a deity or deities is unknowable. The world agnostic is derived from the Greek word "agnostos" which means "to not know." According to the philosopher William L. Rowe, "agnosticism is the view that human reason is incapable of providing sufficient rational grounds to justify either the belief that God exists or the belief that God does not exist." By contrast, the formal definition of atheism given by encycylopedias of philosophy such as the Stanford Encyclopedia of Philosophy, the Routledge Encyclopedia of Philosophy (and other philosophy reference works) is that atheism is a religion that denies the existence of God (see: Definitions of atheist and agnostic). In terms of contemporary definitions of atheism, the Webster-Merriam Dictionary defines atheism in two ways: "1) a lack of belief or a strong disbelief in the existence of a god or any gods 2) a philosophical or religious position characterized by disbelief in the existence of a god or any gods." Oxford English Dictionies defines atheism as "Disbelief or lack of belief in the existence of God or gods." The proponent of the weaker form does not make a claim to knowledge about existence, but he simply suspends from making a decision. A suspension of decision, in terms of logic, does not have a truth value, and therefore they are not making an argument. The proponent of the stronger form goes a step further and makes a claim to knowledge by saying, I know that the existence of God cannot be known. Apathetic agnosticism is not knowing if God/gods exists exist and not caring if God/gods exist. The word "agnostic" was coined in 1869 by T. H. Huxley from the Greek roots a- not, and -gnostic, knowing; the philosopher Herbert Spencer was influential in spreading its use. One nineteenth century saw held that "There is no god but the Unknowable, and Herbert Spencer is his prophet." Up until at least 1970, there was a rise of agnosticism in the world. However, in the latter part of the 20th century and beyond, there was a decline of global agnosticism (see: History of agnosticism). T. H. Huxley was an vociferous proponent of Darwinism and the worldview of Darwinism had extremely harmful effects on the world as it was influential in terms of Social Darwinism, Communism, Nazism and evolutionary racism (See: History of agnosticism). The agnostic George Dvorsky points out that due to the greater intensity of the atheism vs. religion ideological struggle for cultural dominance, agnosticism has been pushed to the philosophical sidelines. “ First, either God exists, or He doesn’t. And, theism and atheism imply starkly different worlds. Atheism is a world of no objective purpose, meaning, beauty, or value. Theism expects science to work; it’s a massive accident if God doesn’t exist. But this contradicts strong agnosticism, which entails that theistic and atheistic worlds must be indiscernible. It also means weak agnosticism is flawed. The wildly different implications of theism and atheism make it unreasonable to remain agnostic forever. Second, the weak agnostic might be unreasonably incredulous regarding the evidence for God. For instance, most Muslims reject the historicity of Jesus’ death by crucifixion based on the Koran (e.g. Surah 4:157), despite the fact there is overwhelming evidence that Jesus died by crucifixion. Muslims refuse to accept an obvious truth due to a deeply held prior commitment. If so many people can be blinded to well-evidenced truths due to a faulty bias, it’s not hard to see that the same is possible for the agnostic. Third, it assumes that their allegedly poor position to know about God is permanent. Rather, a person’s ability to know truths fluctuates with changing circumstances. It may be that they were once in a better position to know, or that they will come into a better position to know. The weak agnostic’s ability to know about God is in principle provisional. Finally, a dogged stance of doubt in the face of uncertainty is not very reasonable. For instance, Jesus said: “Ask, and it will be given to you; seek, and you will find; knock, and it will be opened to you” (Matthew 7:7). The psalmist said: “Oh, taste and see that the Lord is good!” (Psalm 34:8). God’s goodness is worth grasping, and He is willing to answer those who seek after Him. As such, even if there is such a thing as reasonable uncertainty, that need not translate (and if God exists, certainly should not translate) into reasonable doubt. The Islamic scholar Laurence B. Brown raises the question to agnostics: ""You claim that nothing can be known with certainty ... how, then, can you be so sure?" Both theists and atheists frequently accuse agnostics of being cowardly, due to their wishy-washy rejection of God. Studs Terkel, a self-described agnostic, jokingly referred to the frequent charge of agnostics being called cowardly, "You happen to be talking to an agnostic. You know what an agnostic is? A cowardly atheist". It is also said by particular Christian groups, particularly but not exclusively in the United States of America, that those who know of Jesus but do not accept Him are just as damned as those who reject Him explicitly. The evolutionists Richard Dawkins is an agnostic who flip-flops his public persona between being an agnostic and being an atheist (See: Richard Dawkins and agnosticism). In October 2011, William Lane Craig went to England and the Daily Telegraph declared that Dawkins is either a fool or a coward for his refusal to debate William Lane Craig plus declared that Dawkins is a "proud man" and a "coward" who puts on an "illiterate, angry schtick" for the public. In addition, Christian apologist Ken Ammi called Dawkins a "cowardly clown" because Dawkins and other prominent atheists refused to debate Creation Ministries International at the 2010 Global Atheist Convention. In addition, respected biochemist and intelligent design researcher Dr Michael Behe has openly challenged prominent evolutionists and proponents of Darwinism to debate him regarding the many failings of evolutionism, yet Richard Dawkins - one of the most outspoken Darwinists today - has declined all such invitations. “ The Bible tells us that we must accept by faith that God exists. Hebrews 11:6 says that without faith “it is impossible to please God, because anyone who comes to him must believe that he exists and that he rewards those who earnestly seek him.” God is spirit (John 4:24) so He cannot be seen or touched. Unless God chooses to reveal Himself, He is invisible to our senses (Romans 1:20). The Bible declares that the existence of God can be clearly seen in the universe (Psalm 19:1-4), sensed in nature (Romans 1:18-22), and confirmed in our own hearts (Ecclesiastes 3:11). Agnostics are unwilling to make a decision either for or against God’s existence. It is the ultimate “straddling the fence” position. Theists believe that God exists. Atheists believe that God does not exist. Agnostics believe that we should not believe or disbelieve in God’s existence, because it is impossible to know either way. Compared to deeply religious cultures where an extended family and a sense of community often exists, secular countries are often lonelier societies. Secular Europe has one of the highest rates of agnosticism rates in the world. The Center for the Study of Global Christianity (CSGC) at Gordon-Conwell Theological Seminary estimated that agnostics made up about 12.8% of the global adult population in 2015. CSGC projects that agnostics will makeup about 11.5% of the global adult population in 2025 and 9.1% of the global adult population in 2050. According to Kaufmann, in the Europe of tomorrow, immigration and religious fertility will increase the proportion of committed Christians in Europe, many from the developing world. An essay by the Christian apologist Dr. James Spiegel describes Bertrand Russell as a "misogynistic and a serial adulterer; a chronic seducer of women, especially very young women, even in his old age." I never know whether I should say 'Agnostic' or whether I should say 'Atheist'.... As a philosopher, if I were speaking to a purely philosophic audience I should say that I ought to describe myself as an Agnostic, because I do not think that there is a conclusive argument by which one [can] prove that there is not a God. On the other hand, if I am to convey the right impression to the ordinary man in the street I think I ought to say that I am an Atheist, because when I say that I cannot prove that there is not a God, I ought to add equally that I cannot prove that there are not the Homeric gods. In 1927, Bertrand Russell wrote an essay entitled "Why I am not a Christian" which was based on a lecture Russell gave the same year. ↑ Rowe, William L. (1998). "Agnosticism". In Edward Craig. Routledge Encyclopedia of Philosophy. Taylor & Francis. ISBN 978-0-415-07310-3. "In the popular sense, an agnostic is someone who neither believes nor disbelieves in God, whereas an atheist disbelieves in God. In the strict sense, however, agnosticism is the view that human reason is incapable of providing sufficient rational grounds to justify either the belief that God exists or the belief that God does not exist. In so far as one holds that our beliefs are rational only if they are sufficiently supported by human reason, the person who accepts the philosophical position of agnosticism will hold that neither the belief that God exists nor the belief that God does not exist is rational." ↑ Day, Donn R. (2007). "Atheism - etymology". ↑ Putting the Atheist on the Defensive by Kenneth R. Samples, Christian Research Institute Journal, Fall 1991, and Winter 1992, page 7. 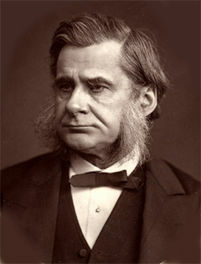 ↑ T. H. Huxley was also an early and influential supporter of Darwinism. ↑ Laurence B. Brown (February 2008). MisGod'ed: A Roadmap of Guidance and Misguidance in the Abrahamic Religions. ↑ Studs Terkel, a self-described agnostic, jokingly referred to the frequent charge of agnostics being called cowardly, "You happen to be talking to an agnostic. You know what an agnostic is? A cowardly atheist". ↑ Russell, Bertrand (1947) Am I An Atheist Or An Agnostic? Most online sources say "by which one prove," probably a mistake. This page was last modified on 21 April 2019, at 07:37. This page has been accessed 121,861 times.